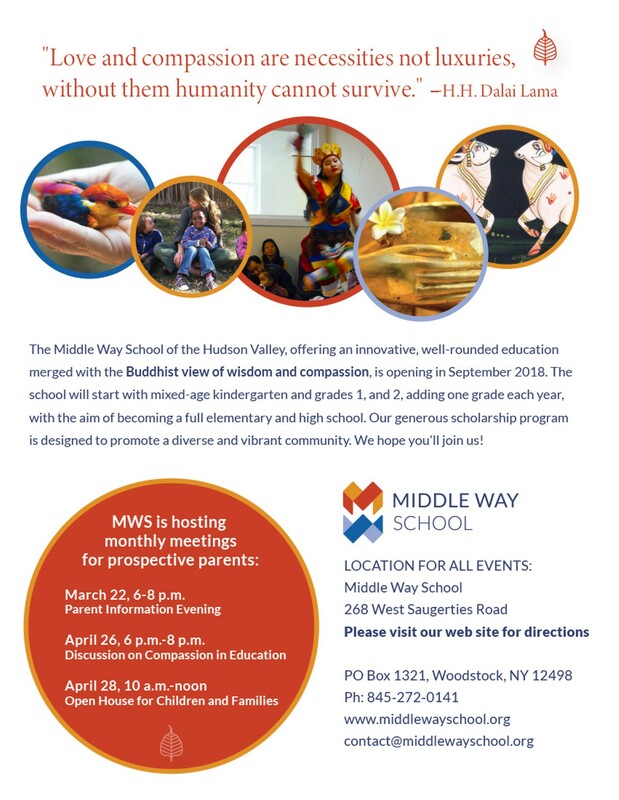 The Middle Way School of the Hudson Valley, offering an innovative, well-rounded education merged with the Buddhist view of wisdom and compassion, is opening in September 2018. 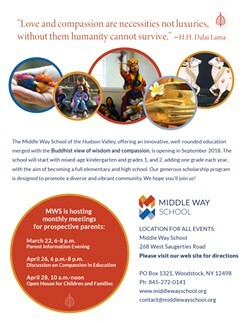 The school will start with mixed-age kindergarten and grades 1, and 2, adding one grade each year, with the aim of becoming a full elementary and high school. Our generous scholarship program is designed to promote a diverse and vibrant community.